The first step in managing any pest is correct identification. 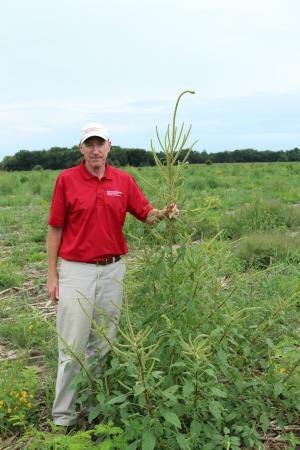 For Palmer amaranth, we have stressed the need to examine the inflorescences of female plants for the presence of the large, sharp bracts. Farmers/agronomists are not accustomed to examining flowers since almost all weeds can be identified using simple, vegetative traits. 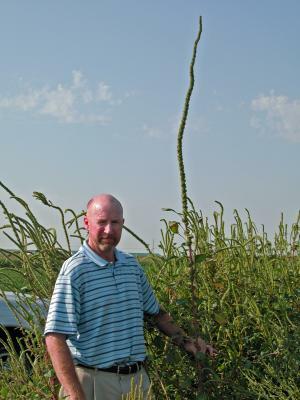 Flowers are needed to confirm the identity of Palmer amaranth because of tremendous variability within both Palmer amaranth and its close relative waterhemp. 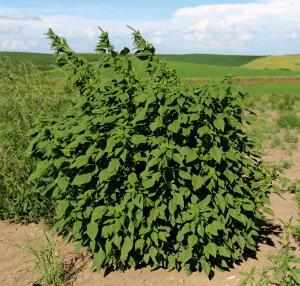 The variability within Palmer amaranth can appear in plant color, canopy architecture and leaf density, and both leaf and inflorescence size and shape. The photos illustrate a small portion of the variability we've encountered - the majority of the plants pictured grew in the absence of direct competition with other plants. When facing intense competition, most plants will develop a taller, less branched canopy in order to reach full sunlight before neighboring plants. youngest leaves are often chlorotic. Highly branched plant with multiple long terminal inflorescences. pigweeds will also display this trait. 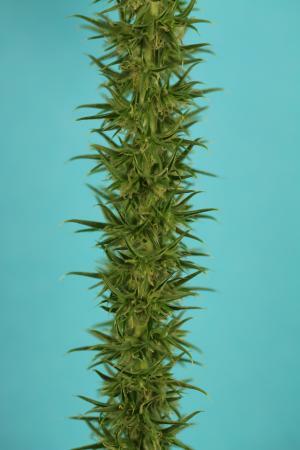 An abnormally long terminal inflorescence. Palmer with a very dense canopy. facing no competition with neighbors. 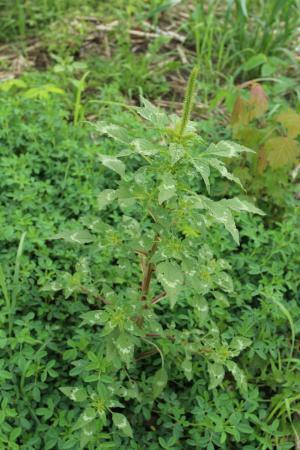 Palmer amaranth and look for the sharp bracts.